This club was established in the year 1867 by a number of yacht-owners and other gentlemen interested in yachting. 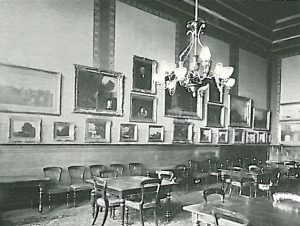 The initial meeting was held at the Freemasons’ Tavern, Great Queen Street, W.C., on November 28 of that year, and in the space of a little less than three weeks 120 gentlemen, including owners of yachts of an aggregate exceeding 2,200 tons, had signified their intention of becoming members; and at a meeting of the committee held on December 16, 1867, it was decided that the society be designated the ‘New Thames Yacht Club,’ and that the chief object of the club be the promotion of yachting on the river Thames.On January 7 and on February 3 following general meetings of the members were held, again at Freemasons’ Tavern, at which the proposed rules and regulations were settled, and arrangements for an application to the Lords of the Admiralty for the grant of a warrant to fly the blue ensign of the British fleet were made. The members suggested that they should be allowed to use the Admiralty foul anchor on their ensign as the distinguishing mark of the club, but this the Admiralty would not approve, and a design of a phoenix in gold rising from ashes was then submitted and approved, and the Admiralty warrant was granted on April 23, 1868. Great difficulty beset the members in finding a suitable home. 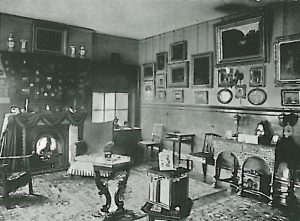 Many sites centrally placed in the West End of London appear to have been considered and rejected, and it was not until January 1, 1869, that the club was housed in rooms at the Caledonian Hotel, Adelphi, W.C. This arrangement, however, did not appear to work satisfactorily, and on December 21, 1869, it was decided by a large majority present at a general meeting to amalgamate with the Union Yacht Club at Gravesend. It was thus that the club became possessed of their present commodious premises. The club at its inception was essentially a yachtsman’s club; all its members were keen sportsmen, and they speedily took steps to carry into effect the objects which had drawn them together. A sailing committee was formed, sailing regulations were drawn up, in which it may be remarked that the number of hands allowed to a cutter in sailing a match was limited to one hand to every 7 tons, and to a schooner one hand to every 10 tons, in addition in each case to the owner or his representative, a master, a pilot, and three friends in the case of a cutter, and four friends in the case of a schooner, and members winning a prize were requested not to give more than 10s. to each of the crew.The first match took place on Monday, June 1, 1868, the course being from Erith round the Nore and back to Erith. There was a large entry, and the race was productive of excellent sport. 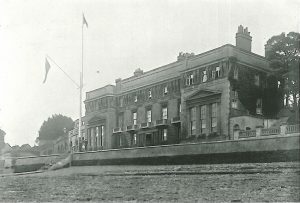 In 1869 matches over the course from Gravesend to the Mouse and back for yachts of the first class, and from Gravesend to the West Oaze and back, for yachts of the second class, were held, and on July 3 of that year the first down-Swin races from Southend to Harwich took place under the club’s flag.The club’s races down-Swin are perhaps the most popular of those held on the coast. The course is in every way a sporting one ; it is liked by the racing owners, and the races afford keen enjoyment to the many onlookers who patronize the steamer which is annually chartered by the club. To write a history of the races under the club flag is to record the names of all the yachts in the larger classes which have raced on the coast during the past thirty-eight years. The club during its existence has distributed nearly £10,000 in prizes, the amount paid in the year 1906 being £286; and from its inception it has provided the best of sport for both class and handicap racing.